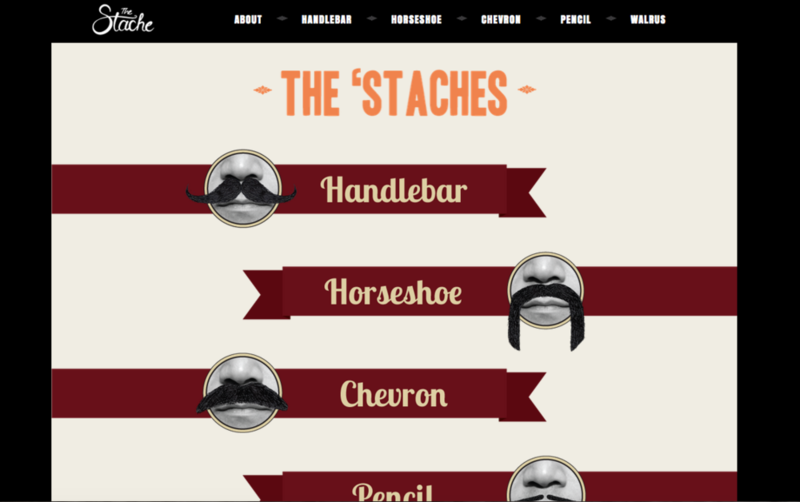 Design a full-scale website on the topic of mustaches. The ‘Stache is an informational site on the most popular styles of mustaches. 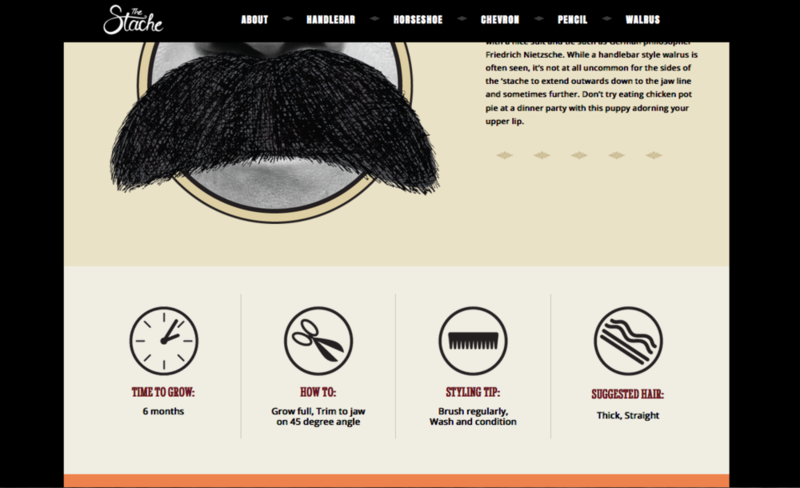 Each section supplies information on key features of the given ‘stache, shows who has supported that style, and also supplies a video on how to achieve it. The intent was to make the website masculine and light-hearted. This site was built with HTML5 and CSS.